In government, there's often superficial talk about adopting technology and working with industry--most of which is out of sync with the actual technology industry and reality, and is more window dressing than anything else. However, in a very unusual move, the City of Los Angeles has tapped a true technology veteran and insider, well known to those here in the industry--Peter Marx, most recently at Qualcomm--to head up the city's efforts to both adopt technology and improve the city's relationship with its growing technology companies. We sat down with Peter--who is now working directly for LA's “technology mayor” Eric Garcetti as Chief Innovation Technology Officer--to understand how a technology insider think he can help tap into the rich technology industry here and help use technology to improve the life of everyday citizens. How you ended up joining the city in this role? 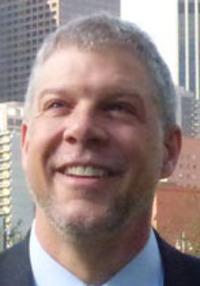 Peter Marx: I was first introduced to the Mayor's office by Matt Peterson, who is Chief of Sustainability for the Mayor. I was really interested in what Matt was doing, and Matt and I got into a conversation. He knew I was at Qualcomm. What I realized, through Matt, was that not only did they have an interest in bringing someone in who had a technology background, but that Mayor Garcetti had a receptivity to technology across his entire team and departments. He wanted to looka t how technology could help with the problems that we all face, and help to solve those problems. By technology, he meant the world you and I both live in, of digital, mobile, health related technology, transportation technology--all of those elements. There's great receptivity at the mayor's office to applying that technology, things like open data, to the problems not just of government but the problems we face living in the city every single day. That sounded very appealing to me. I was interested in taking the job, because I felt there was the opportunity to take lots of the stuff I had learned over the years, and apply it to my hometown and make a positive difference. What's your job and responsibility there? Peter Marx: The Mayor's office has oversight, along with the city council, for thirty seven different departments, ranging across all kinds of different services. Los Angeles is unique among big cities, it that not only does it have police, fire, and recreation and parts departments, but it also has the Department of Water and Power, the airports, and has the Port of Los Angeles. When you start to think about it, the City of Los Angeles has all of the ingredients to become a “smarter city”, a livable city. It has all of the assets to make a difference. You're a veteran of the tech industry--can you talk a little bit about that? Peter Marx: I started in the technology industry by writing software for imaging microscopes--looking at things like cell populations using early CCD cameras and understanding cell morphology; working on video compression; working on networking stuff and software for early digital telephony like ISDN and on forward. I've worked on projects ranging from healthcare to augmented reality to context awareness, sensors, and data fusion. I view myself as having a pretty good background across a lot of things., every thing from smartphones to the network, video streaming for example over the Internet. I've both written lots of software, and managed lots of projects. My resume includes things like videogames, online worlds, online web, from everything as an engineer to a producer to technical director, to CTO. Given your experience in the fast moving technology industry, were you nervous about joining the government--which is not exactly known for adopting technology very rapidly? Peter Marx: Oh yeah. I think about that all day. Today is actually my last day at Qualcomm. The way I think about it, is that companies like Qualcomm create technology. Silicon valley is very famous for creating technology first, then going out and looking for a use case for that technology. Where the city is, is exactly the opposite. There's an endless number of use cases, and they're looking for technologies to address them. I'm stepping over to the other side. Lots of entrepreneurs and investors seem to be very against, and sometimes anti-government -- or at very least, have a don't care attitude on government. What do you say to them? Peter Marx: I think what we are seeing for most consumers, particularly through smartphones, is that shopping, ride services and transportation, and mobile advertising--all of those take place in the urban environment. That urban environment is managed and governed by the city. If you think about the City of Los Angeles, just as an example, there's pretty much continuous interaction between the city and technology. For example, if you look at transportation and the new ride sharing service, there's a continuous interaction with traffic management, intersections, parking spaces. The private sector can add value on top of all of that. I know you have yet to officially start, but do you have any big goals you are thinking about in the next few months? Peter Marx: The short term goal, is there's already a team inside the city working on what is called the MyLA311 app and service. If you think about 311, it's the line that people call to get information about everything, from reporting potholes to checking their electricity bill. If you think about it as a portal for city services, we're trying to make that really useful, and help that team wherever possible. That's the short term goal. Longer term, as you know, Los Angeles is something like the number two destination for venture capital. It has one of the original three nodes of ARPAnet, which became the Internet, and there's a bunch of technology background here, from defense, to the fact that we're the largest recipient of federal medical research funds. So, the question is how to take the city, and bring a technology identity to it, and augment the identity it already has around media and entertainment. Frankly, this is the city which can help make technology more human, more usable, and a better user experience.